The new Moomin Friendship jar by Arabia features a famous motive from the book "Who will comfort Toffle?". Arabia artist Tove Slotte has designed this delightful Moomin object keeping with the original drawings. Perfect for hiding away goodies and treasures. The new seasonal ceramics by Arabia enchant Midsummer with the Moominvalley ladies: Snorkmaiden, Mymble, and Fillyjonk. These lovely ladies collect flowers from meadows to put under their pillows. NOTE! 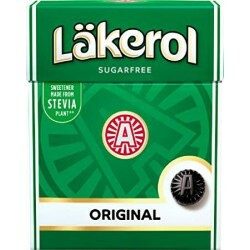 For some reason, all Midsummer mugs have dirty, ink-like stickers. 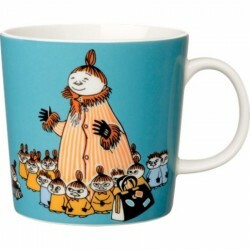 This dark blue/turquoise Moomin mug from 2012 features Mymble's mother with all her little children. 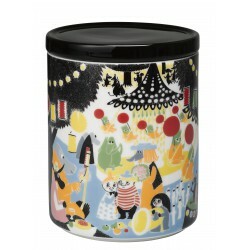 It's wonderfully illustrated by Arabia artist Tove Slotte and the images on the mug can be found in the second Moomin comic book. 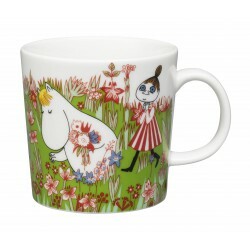 Complete your collection of Moomin mugs with this beautiful piece. Also see the other parts of the Mymble's Mother series. 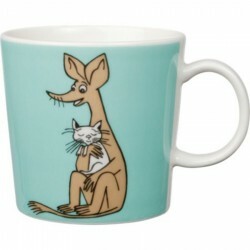 This nice light blue/turquoise Moomin mug by Arabia from 2008 features the always anxious Sniff sitting on grass and holding a cat. 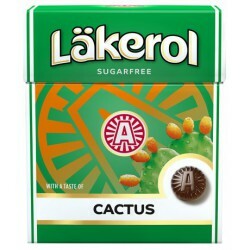 It's wonderfully illustrated by Arabia artist Tove Slotte. 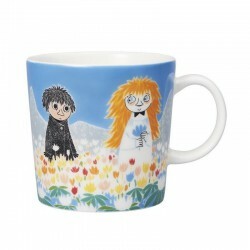 Complete your collection of Moomin mugs with this beautiful piece. 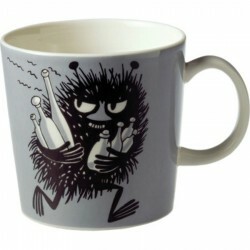 This good looking grey Moomin mug by Arabia from 2001 features the trickster Stinky running with bottles he has just swiped. It's beautifully illustrated by Arabia artist Tove Slotte and the illustration can be seen in the fourth original Moomin comic book. 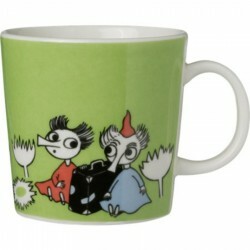 Complete your collection of Moomin mugs with this wonderful and classic piece. 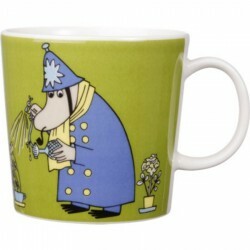 This green Moomin Police Inspector mug was first released in 2009 and was elegantly illustrated by Tove Slotte-Elevant. Complete your collection of Moomin items with this lovely piece. Also see the other parts of the Moomin series. 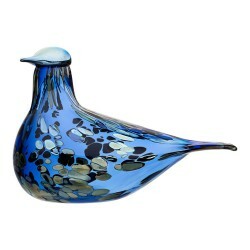 The individually handmade, mouth blown glass Ibis stands on its solid pedestal. 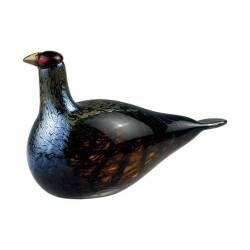 Created in a rich shade of vivid green, the underlying opaque glass brings depth to the surface colour, while the transparent layer mimics the play of water on the bird’s plumage. 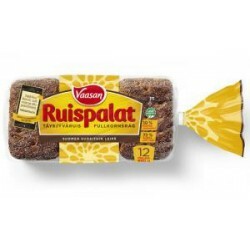 Vaasan Ruispalat / Ryebread 660g, 12 pcs. 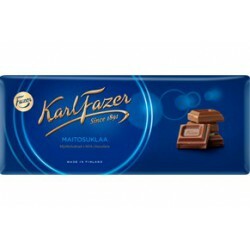 Top selling bread in Finland. 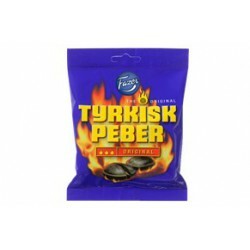 Feisty Tyrkisk Peber has been stealing the hearts of salty liquorice lovers since 1977. 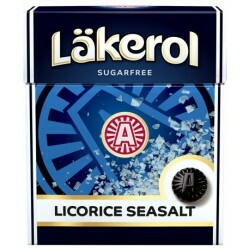 The salty liquorice crust of Tyrskisk Peber Original sweets reveals peppery salty liquorice powder. 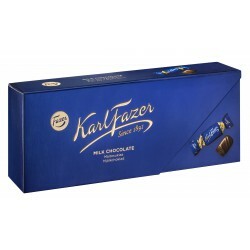 The feisty salty liquorice sweets are one of Fazer's most popular classics – around the world! Fazer Lakritsi is a new and unbelievably soft Finnish liquorice. 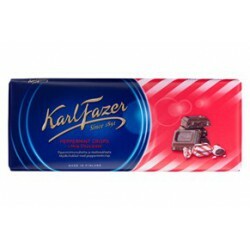 Its delicious taste comes from Fazer's traditional recipe from 1928. 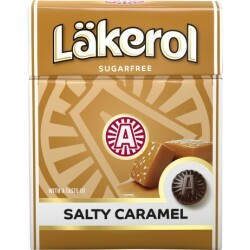 Soft Caramel is a sweeter liquorice with a toffee flavour that will suit people looking for new taste sensations. Unwrap the world – get the taste of Copenhagen! 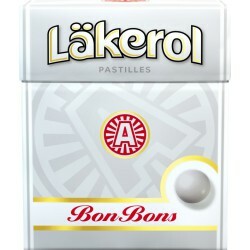 White chocolate, raspberry and liquorice drops bring you the taste of Copenhagen! 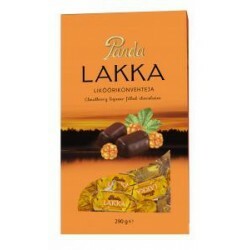 Panda Cloudberry Liqueur Chocolates tastes the northern natural golden-yellow berry upholsted in the rich chocolate. 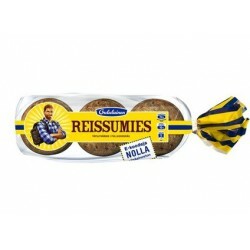 Oululainen Reissumies whole rye FRESH bread 705g, 12 pcs. When you go out hiking, cross country skiing, what bread would you back as your food supply? Reissumies of course, or at least that's what most Finns do :) No wonder this is one the top selling breads at Suomikauppa. When you get the cravings for Reissumies, no other rye bread can quench that thirst! Fast and tracked shipping worldwide. 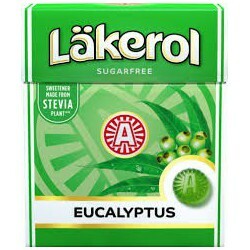 Shipping costs from as low as 1,99€. We offer a huge variety of payment methods such as: Visa, MasterCard, American Express, Collector, multiple bank transfers supplied by Paytrail and Paypal. At Nordic NINJA Store you will find high quality Finnish and Scandinavian products from various manufacturers such as Arabia, Iittala, Fazer, Finlayson, Martinex, Karto and many more. 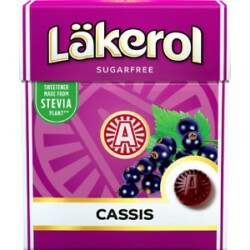 Our main goal is to give our customers the best service as possible and we are known for our fast shipments, safe and reliable packaging and best online prices. If you find a cheaper product anywhere else, please let us know.